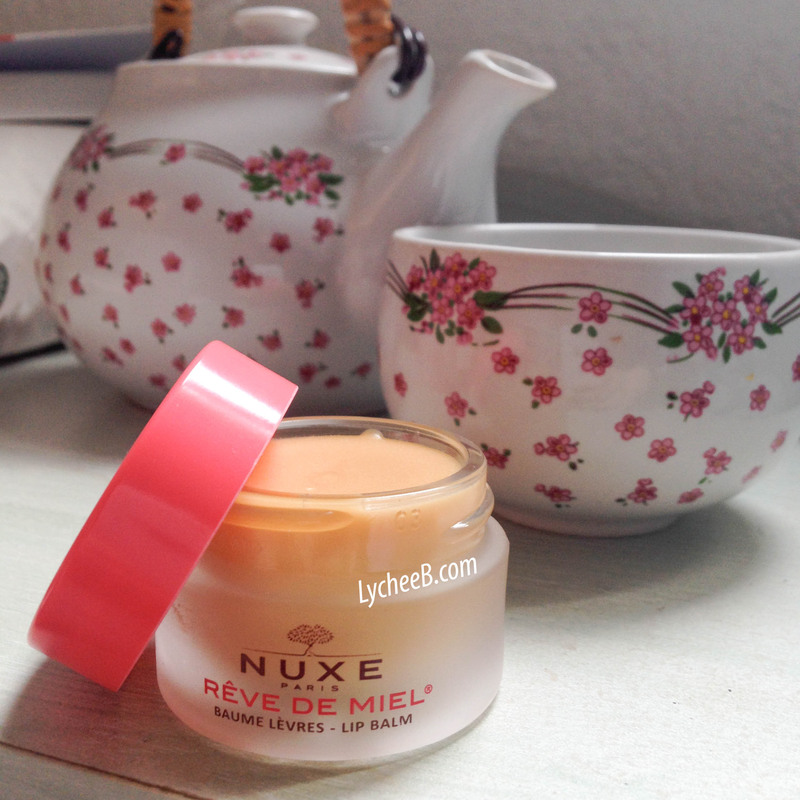 Nuxe Rêve de Miel Lip Balm : a Winter Staple ? If Winter appeals for nights-in in cosy blankets and hot-water bottles for some, it may also means sore lips and dry skin. My lips especially got very dry and chapped recently, none of my lip balms were actually working. There’s always a lip balm I go back to in case of extreme sore lip situation and it is … drummmms… the Nuxe Rêve de Miel Lip balm. The ironic thing is that I actually cannot stand wearing this lip balm in Summer (way to heavy and grainy) but it always saves the day when Christmas season shows up. I really like that the texture of this lip balm is matte and it is really moisturizing. Don’t get fooled by the colour of lid, this one is a limited edition for their 20th anniversary. You can pick this up around 10 Euros in France and it really depends where you pick it up from. I know it is not as readily available anywhere else. Oh well, I am just you are lip balms that serve you well too, if you fancy telling me about it, go for it!! !